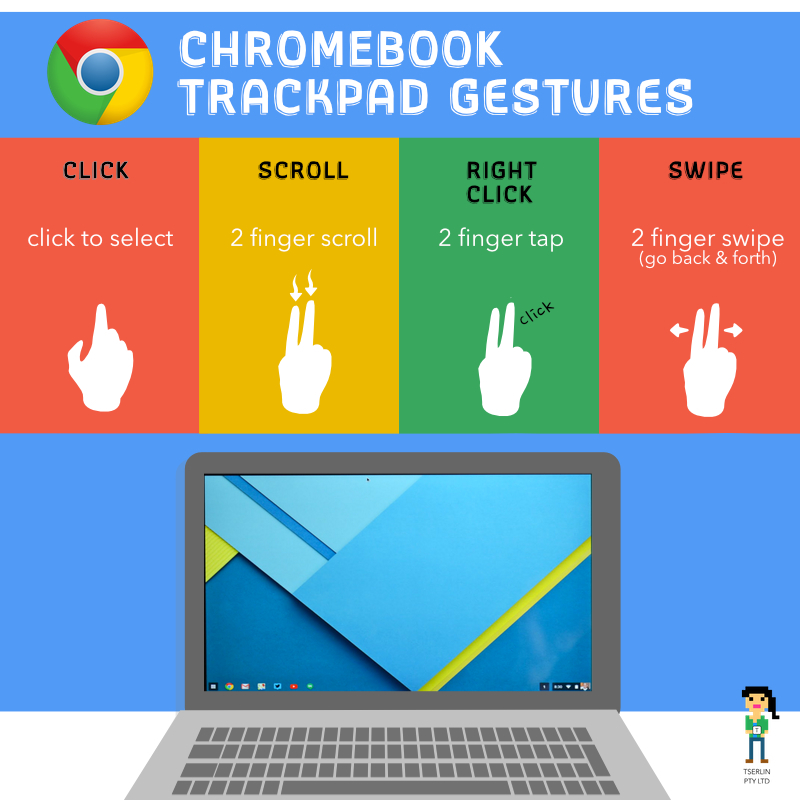 Navigate around your Chromebook easily with this handy poster. A great reference for students and teachers. Print, embed, upload and get around your Chromebook faster with these gestures.